Saina Nehwal was crowned champion of the Indonesia Masters in Jakarta after her opponent Carolina Marin withdrew the match with an injury. Saina Nehwal was crowned champion of the Indonesia Masters in Jakarta after her opponent Carolina Marin withdrew the match with an injury. 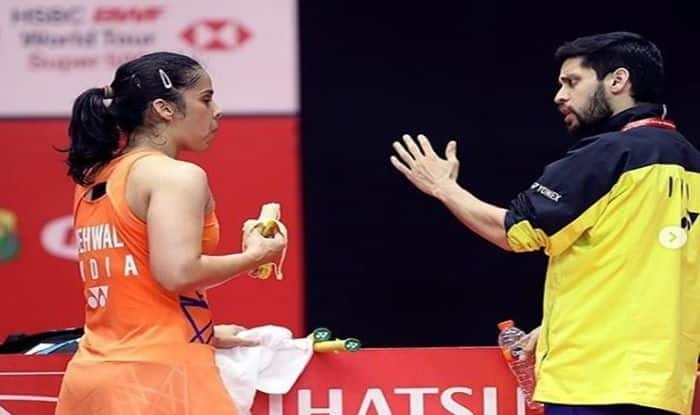 After the match, the Indian shuttler extended her sympathies for the Spanish international and celebrations ensued. Nehwal took to social media to thank her husband and former Indian shuttler Parupalli Kashyap. “Would like to thank Parupalli Kashyap for getting me back to some winning ways and working really hard with me for last 5 months to improve my game. Being very sick with fever the entire tournament #indonesiamasterssuper500 he still managed to come and help me .. would also like to thank @mohammed.siyadath.ullah for being there n supporting me throughout the tournament also special thank u to @arvind_sportsphysio for keeping my body stable in the tournament. Finally a big thank you to Gopi sir too who’s always there behind the scenes”, she posted on her official instagram handle.